According to a recent estimate, implant infections following hip and knee replacement surgeries in the U.S. may number 65,000 by 2020, with the associated healthcare costs exceeding $1 billion. A new small, high-tech device could have a significant impact on improving health outcomes and reducing cost for these types of surgeries. The device, Air Barrier System (ABS), attaches on top of the surgical drape and gently emits HEPA-filtered air over the incision site. By creating a “cocoon” of clean air, the device prevents airborne particles—including the bacteria that can cause healthcare-associated infections—from entering the wound. 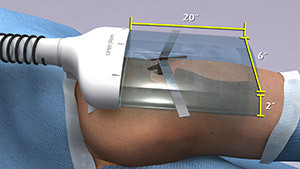 The Air Barrier System creates a “cocoon” of clean air (gray area with size indicated) over a surgical site to remove airborne contaminants and reduce the risk of infection in patients who are receiving an artificial hip, a blood vessel graft, a titanium plate in the spine or other implants. Scientists recently analyzed the effectiveness of the ABS device in a clinical study —funded by NIGMS—involving nearly 300 patients. Each patient needed an implant, such as an artificial hip, a blood vessel graft in the leg or a titanium plate in the spine. Because implant operations involve inserting foreign materials permanently into the body, they present an even higher risk of infection than many other surgeries, and implant infections can cause life-long problems. Deoxyribonucleic acid, better known as DNA, was first identified on a discarded surgical bandage almost 150 years ago. Increasingly sophisticated tools and techniques have allowed scientists to learn more about this chemical compound that includes all the instructions necessary for building a living organism. From among the dozens of fascinating things known about DNA, here are six items touching on the make up of DNA’s double helix, the vast amounts of DNA packed into every human’s cells, common DNA errors and a few ways DNA can repair itself. 1. DNA is in every living thing. DNA consists of two long, twisted chains made of nucleotides. Each nucleotide contains one base, one phosphate molecule and the sugar molecule deoxyribose. 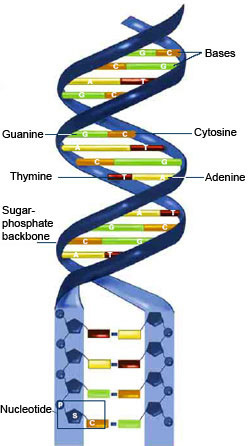 The bases in DNA nucleotides are adenine, cytosine, guanine and thymine. 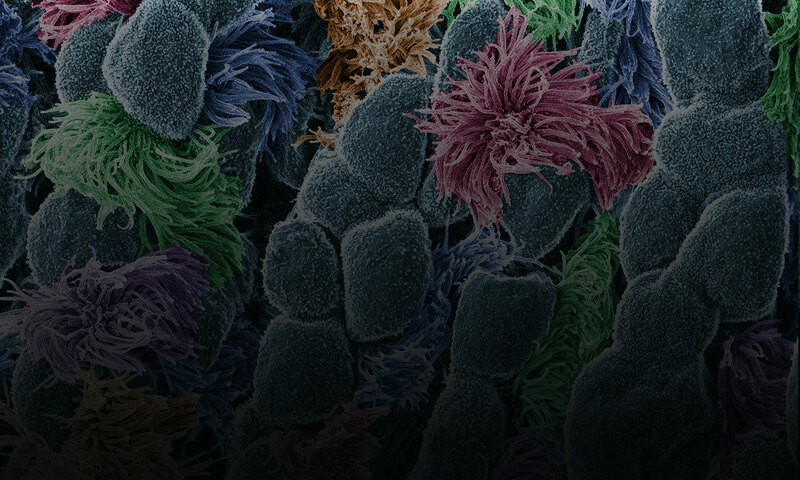 Credit: NIGMS. The chemical instructions for building a person—and every other creature on Earth—are contained in DNA. DNA is shaped like a corkscrew-twisted ladder, called a double helix. The two ladder rails are referred to as backbones, made of alternating groups of sugar and phosphate. The ladder’s rungs are made from four different building blocks called bases, arranged in pairs: adenine (A) paired with thymine (T), and cytosine (C) paired with guanine (G). Humans have about 3 billion base pairs in each cell. The order of the base pairs determines the exact instructions encoded in that part of the DNA molecule. Also, the sequence of DNA base pairs in one person is about 99.9 percent identical to that of everyone else. 2. Humans have a lot of DNA. 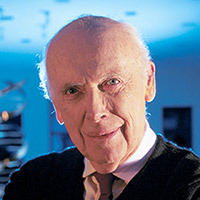 James D. Watson. Credit: Wikimedia Commons, Cold Spring Harbor Laboratory. April 6 is the birthday of two Nobel Prize winners in physiology or medicine—James Watson and Edmond H. Fischer. They have also both been NIGMS-supported researchers. 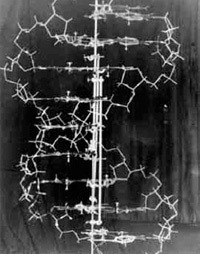 In 1953, Watson and Crick created their historic model of the shape of DNA: the double helix. Credit: Cold Spring Harbor Laboratory archives.